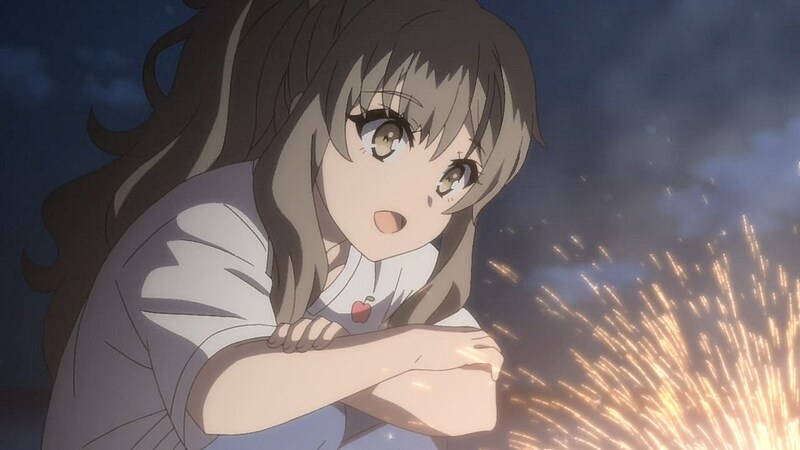 Sparks fly as the end of Futaba’s arc resolves her struggles with isolation. 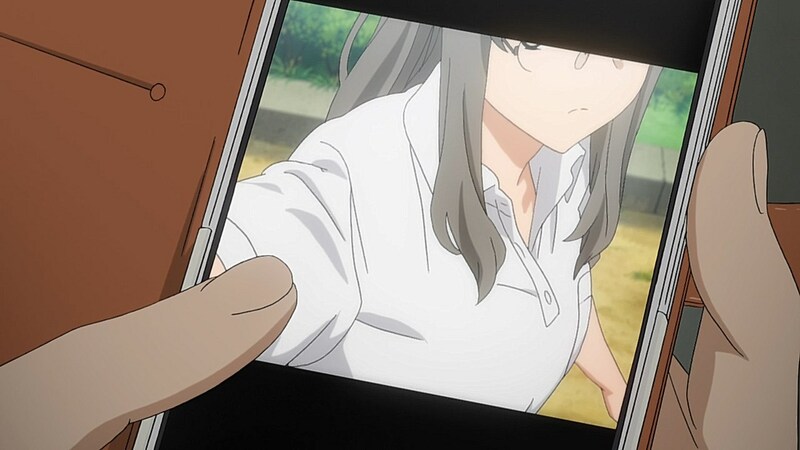 Much like Koga, Futaba’s case involves the attention she seeks through social media to fight off the loneliness she feels, but rather than joining a friend circle that doesn’t care about her, she resorts to creating a provocative Instagram profile to be able to cope with the possibility that Sakuta and Kunimi will ignore her in favor of their own relationships. 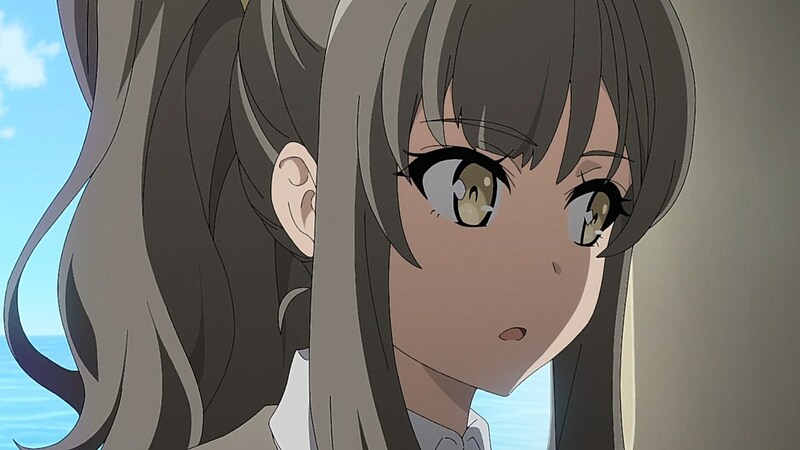 The end result is an arc that tackles what she faces with the emotional maturity, poignancy, and cheeky degeneracy that can be expected from Seishun Buta Yarou. 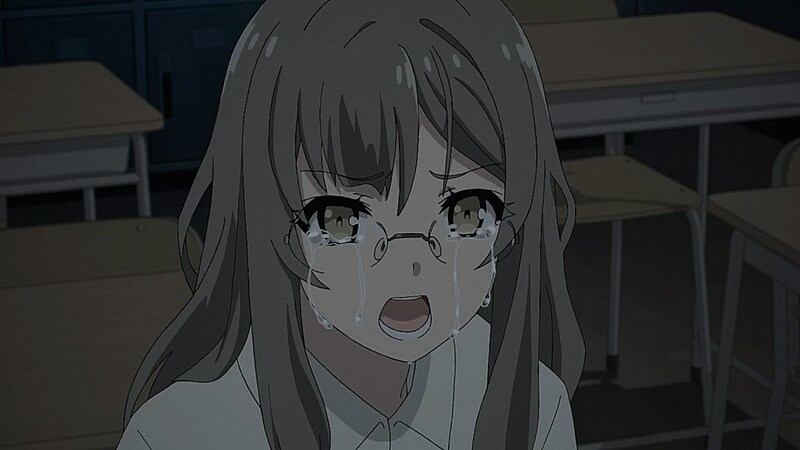 Futaba’s issues cut directly to the core with how she has to contend with her own fears of inadequacy as a friend and the resentment she feels towards the side of her that is desperate for validation no matter the cost. 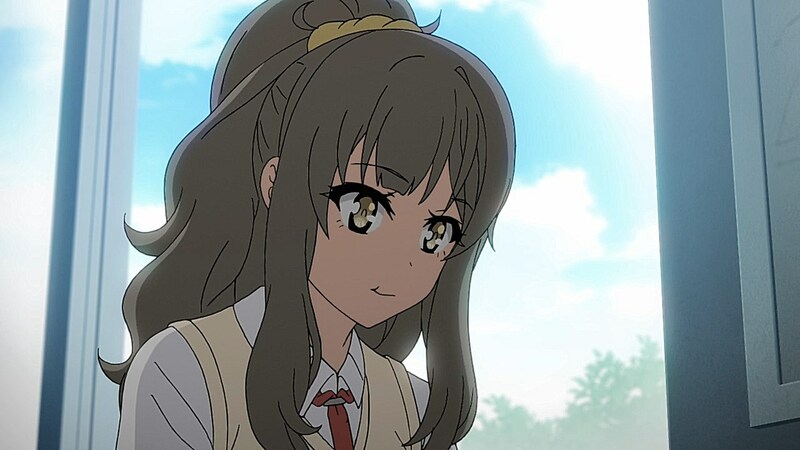 It’s easy to understand why she would come to hate what she has become with the irrational feeling of possibly falling by the wayside because of worries that her friends would find other people to replace her. 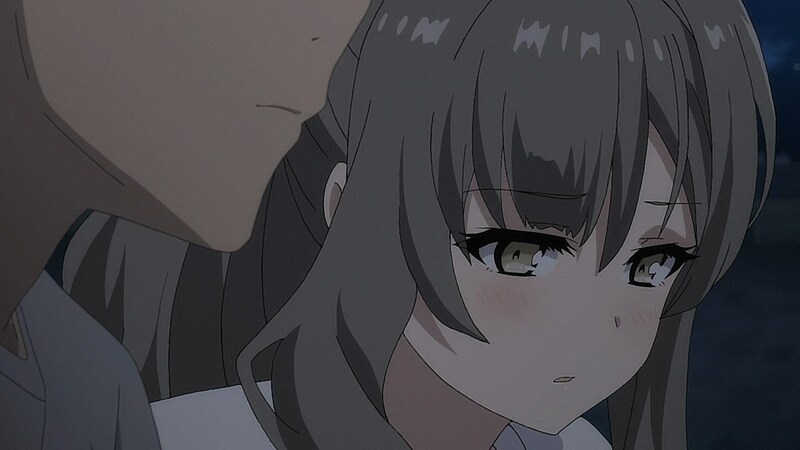 With Kunimi and Sakuta finding girlfriends, her concerns about being ignored grow further as she tries to find a way for anyone to pay attention to her regardless of how repulsed she is by her methods. She is disgusted by herself because of how gaining breasts earlier with puberty ended up attracting creepy men, and yet, her fears ended up driving her over the summer to create a “thirst trap” account in a desperate move to feel validated. 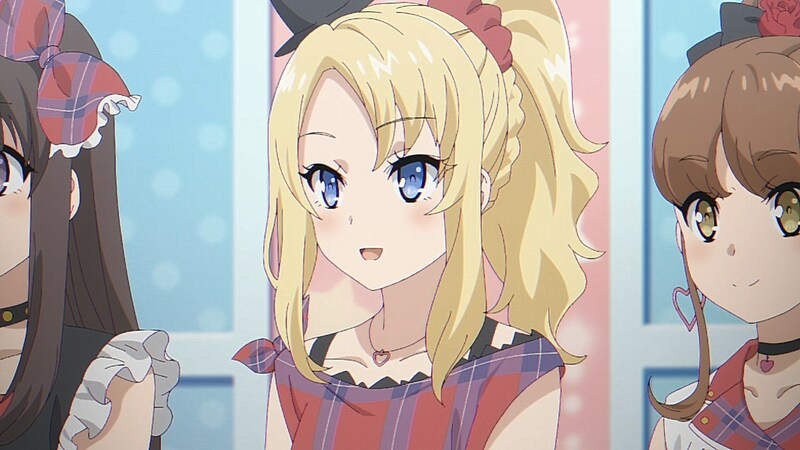 However, she would quickly learn the difference between the attention her friends give her and the attention her account attracts when a creeper asks to meet up or face blackmail. 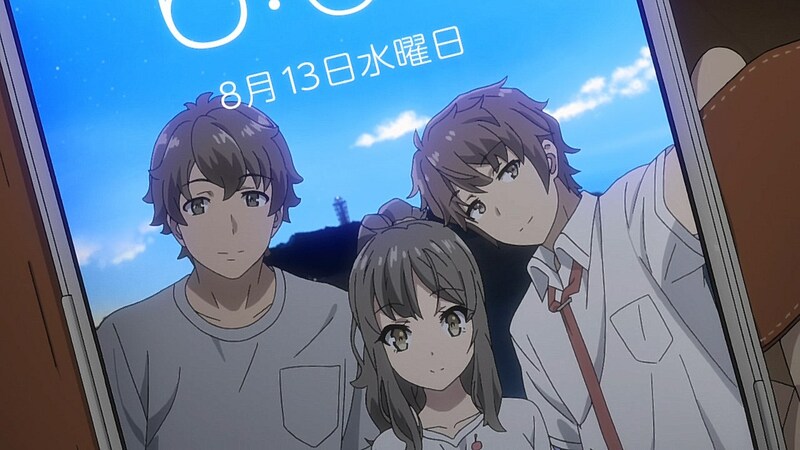 With her outgoing side, it took Sakuta calling up Kunimi to hang out together for her to realize that all she needed to do to be reminded that she isn’t alone wasn’t to attract creepy followers on social media, but to reach out to her personal friends who would be more than happy to give her their validation. 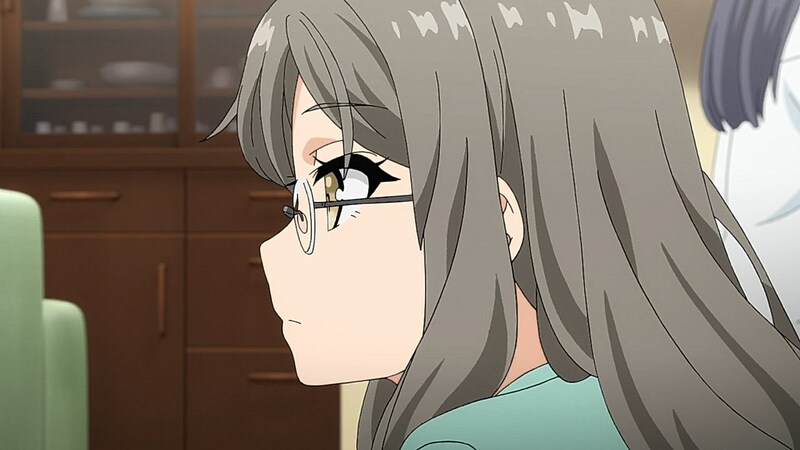 This lesson would come into the fold with her less outgoing side as well with glasses Futaba grappling with the hatred she has with the side of her that craves attention. 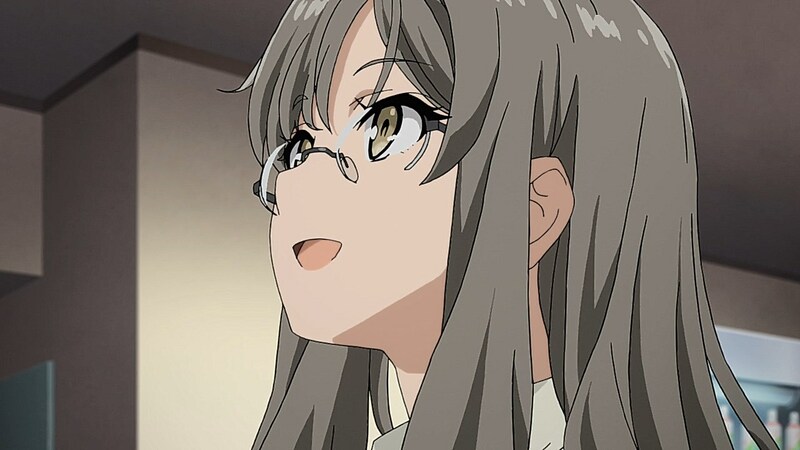 As the pragmatic and realistic side of Futaba, she feels pigeonholed in her role as someone else’s side character with no reason to need to go out of her way to hang out with her friends. 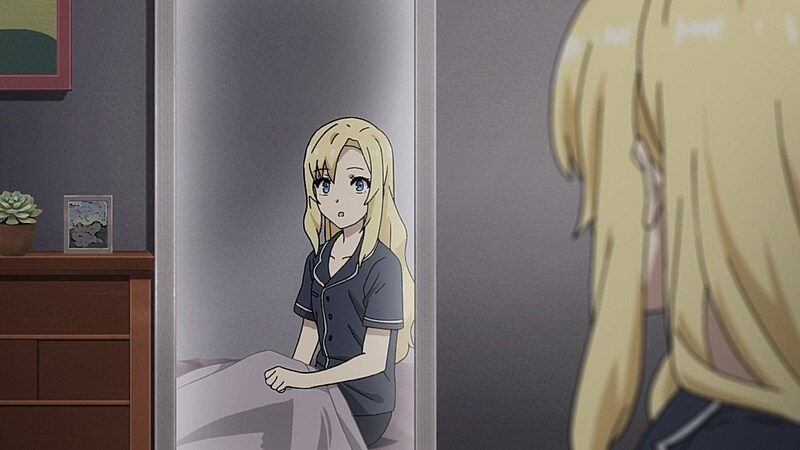 At the same time, her denial of the side of her that wants to reach out to her friends or anyone ends up repressing her feelings to the point of creating a split personality based around the part of her that wants to be with her friends. On the same note, her repressed love for Kunimi is also drawn out of her through her quiet expressions of interest. It’s only something the others can catch from the surface, but it has become harder for her to hide the role her feelings play in the Adolescence Syndrome she is caught in. 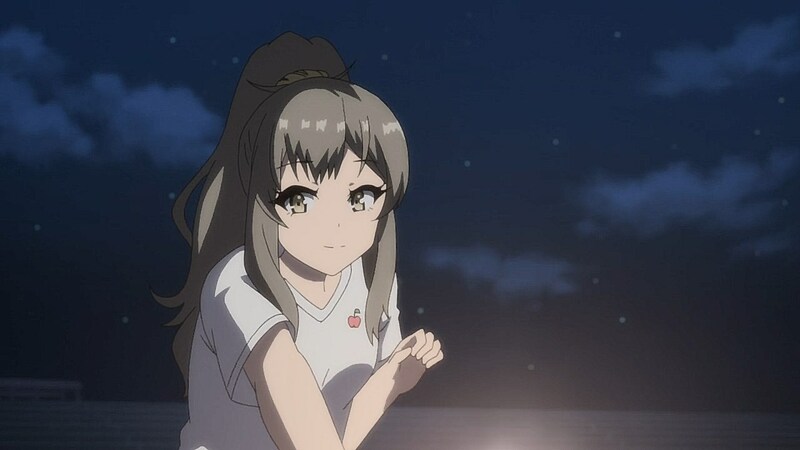 By acknowledging herself and validating her own feelings, she’s able to build the confidence to reach out to her friends more and confess to Kunimi. 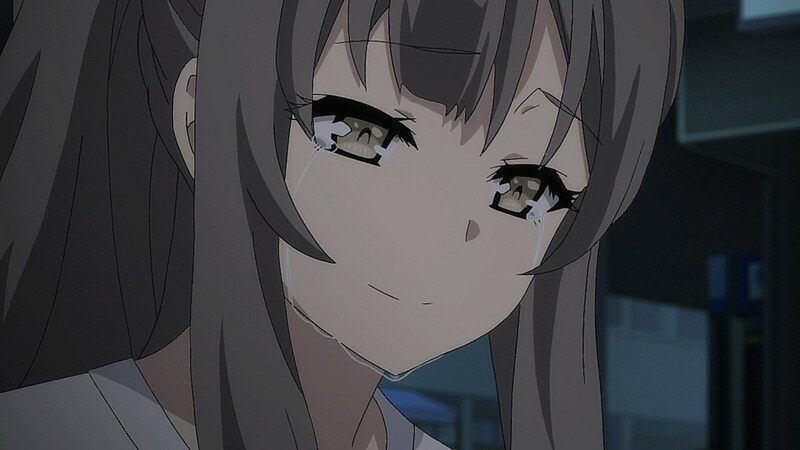 Even if she was being placed in the friend zone, at least she would be able to retain her friendships and continue to cultivate her bonds with them without feeling like she needs to hide anything or worrying about being without them. 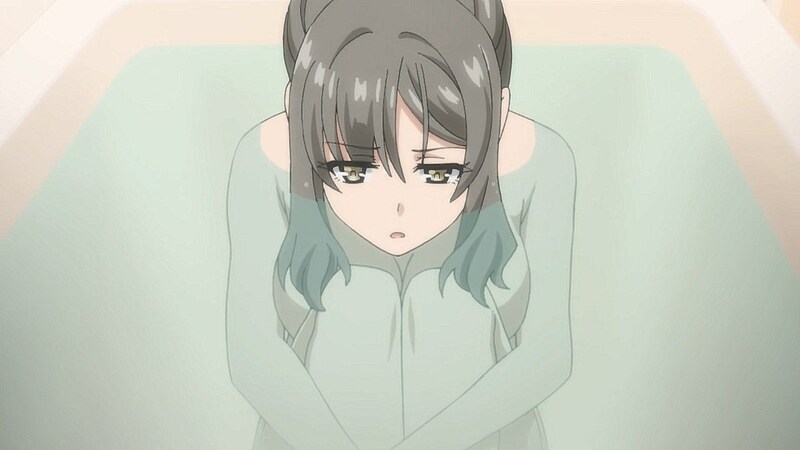 Of the arcs, Mai’s left a deep impression of how excellent the writing in Seishun Buta Yarou was, but it was this arc with Futaba that solidified the impact of the series’ writing by creating such a strong storyline connected to the personal problems she faced the more she was suppressing her emotions and desires from her friends. 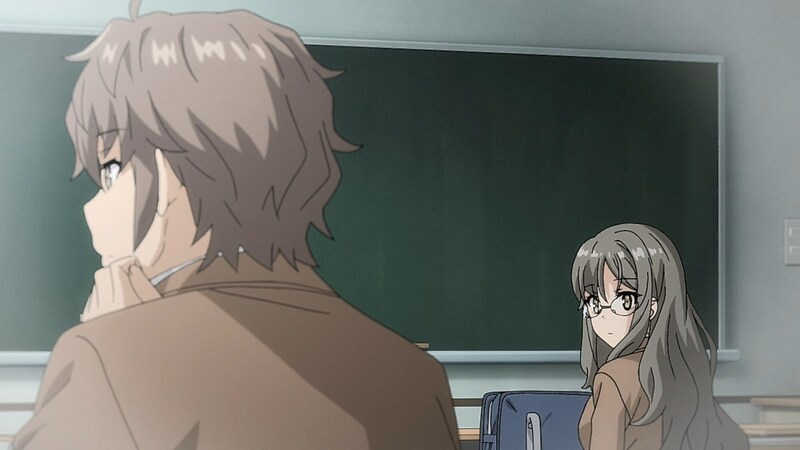 I’d have to say it’s my personal favorite so far with how complex and fascinating Futaba is as a character with the conflict she has with her shy, introverted side and the part of her that craves attention out of fear of being isolated from her only support. 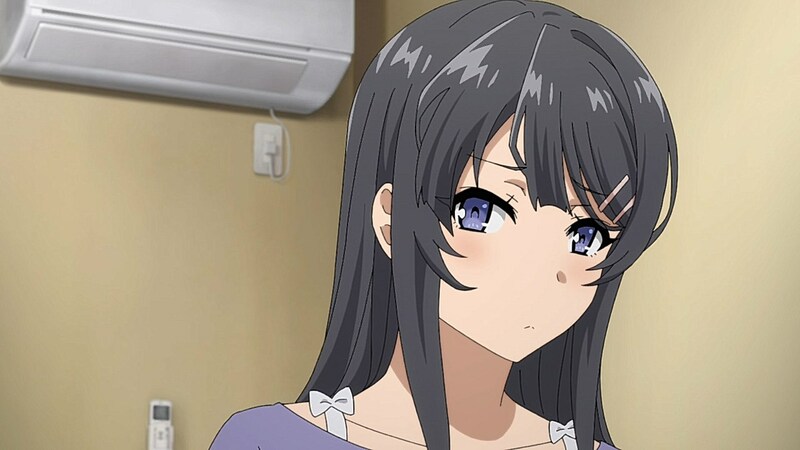 The side story with Sakuta respecting Mai’s public life by keeping a distance is unfortunate but seems to be the one aspect of their relationship that they would be able to fight for in the future once her management stops treating her like she needs to be a pop idol when she’s an actress. 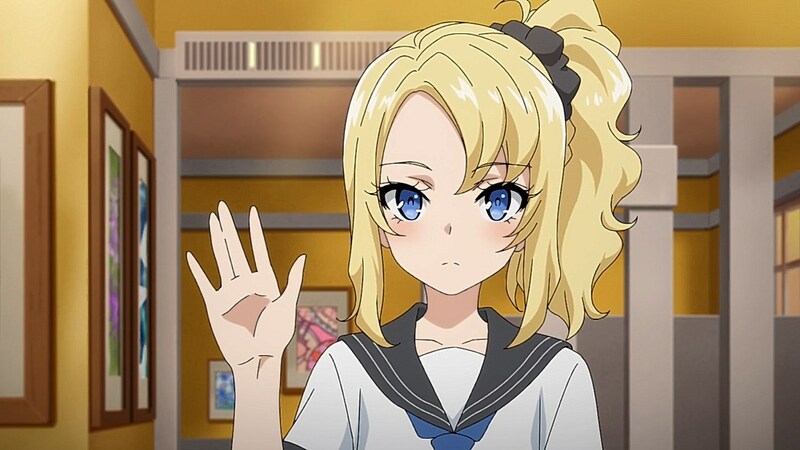 It’s also something that is bound to come out with the next arc as the focus is shifted towards Nodoka, a blonde idol who says she likes Mai the most. 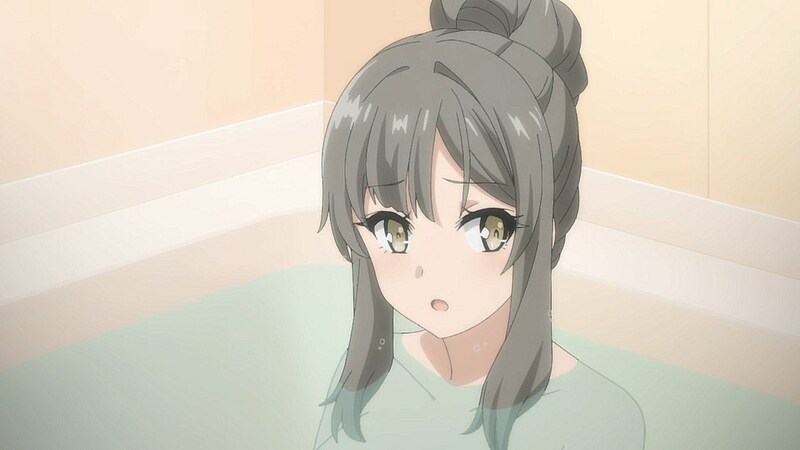 I know it’s selfish for me to say, but I don’t see what goodness Kunimi sees in his girlfriend. All I see is a paranoid mean girl. 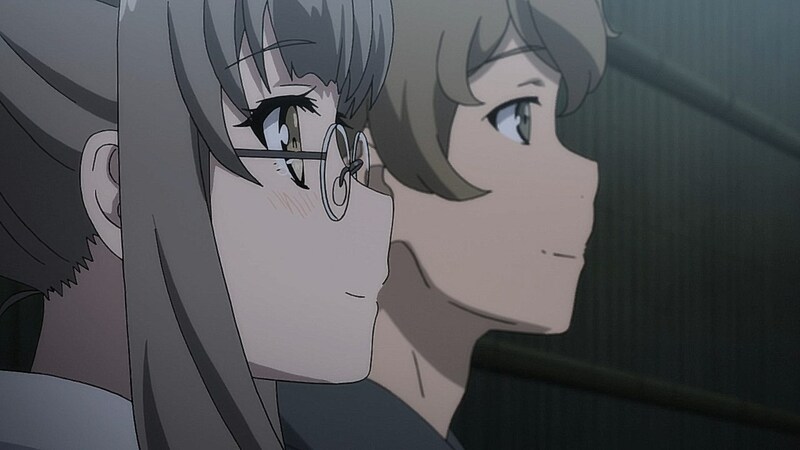 Futaba would’ve made a much more endearing girlfriend, but alas. 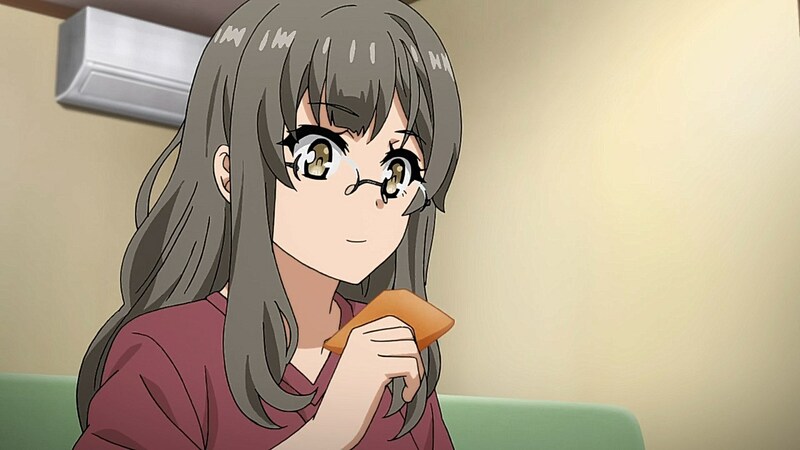 At least it’s good to see Futaba finally come to terms with herself. We’ve seen what? 20 seconds of her? C’mon… We pretty much don’t know her. 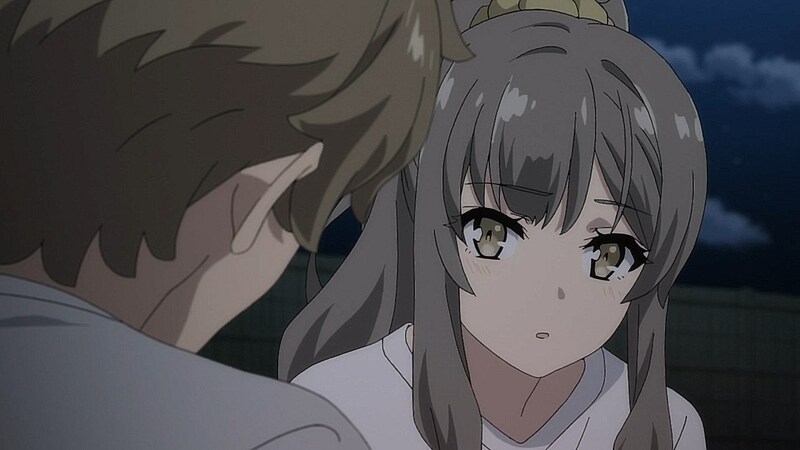 Exactly, so if the story doesn’t explore her character, I think no viewer could be blamed if they perceive her character as nothing but a control freak of Kunimi; which then leads to the question of the purpose of her character within the story, which is a whole other beast I have no interest in tackling as there are other good parts in there to take my mind off of her. 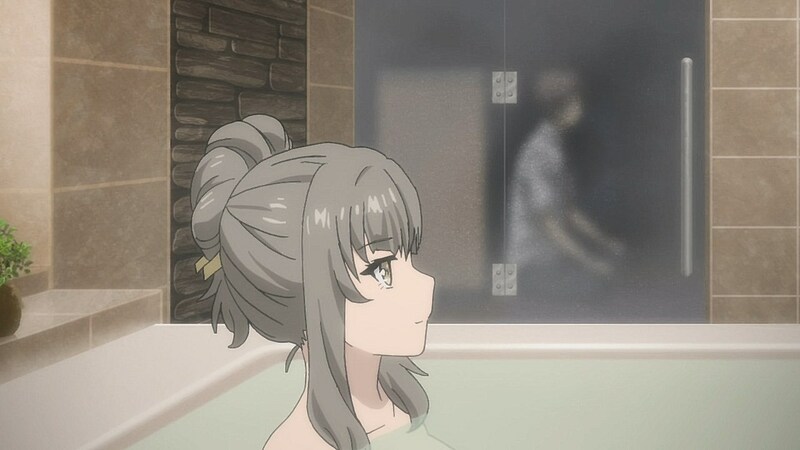 It would be nice to have an eventual moment or arc where we find out why Kunimi would want to stick with his girlfriend since what the audience is given is her worst attributes, and even her private life with Kunimi is volitile because they keep fighting. 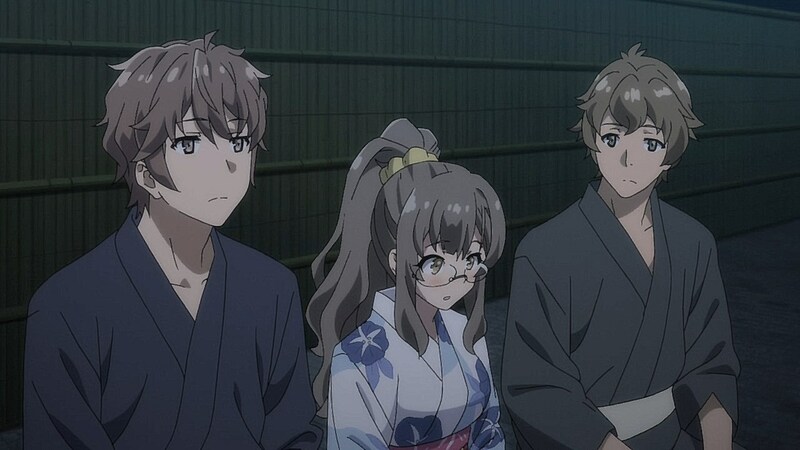 Futaba is looking clear cut like the better option but who knows if they ever get around to explaining why Kunimi is devoted to his girlfriend when she only gives him issues that they have a hard time working through. The lack of pseudoscience this time had a negative effect. Without that to distracted I could concentrate better on the drama and… it’s simple and makes sense, but the way it was handle was a bit “bad”, no? I could not help but be bothered by the super expository way the characters, like if they’re reading a narration direct from the author explaining themselves. 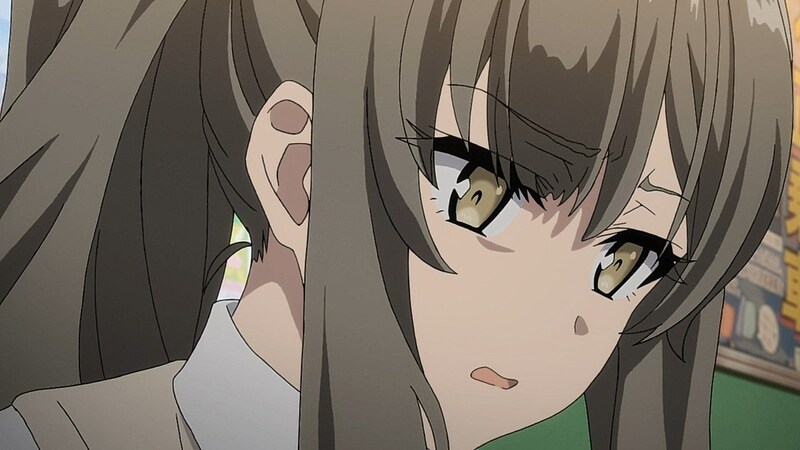 And in Futaba’s case this clarity of mind is weirder for a person what is dealing with conflicting emotions to the point of physically split. 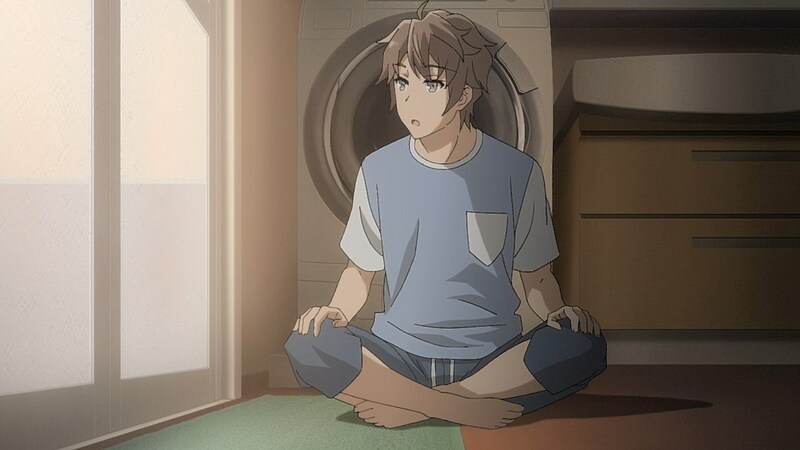 And of course, despite Sakuta apparently just trying to be near his friend and wait for the problem to solve itself, in the end, it’s he who needs to push Futaba to think and act. 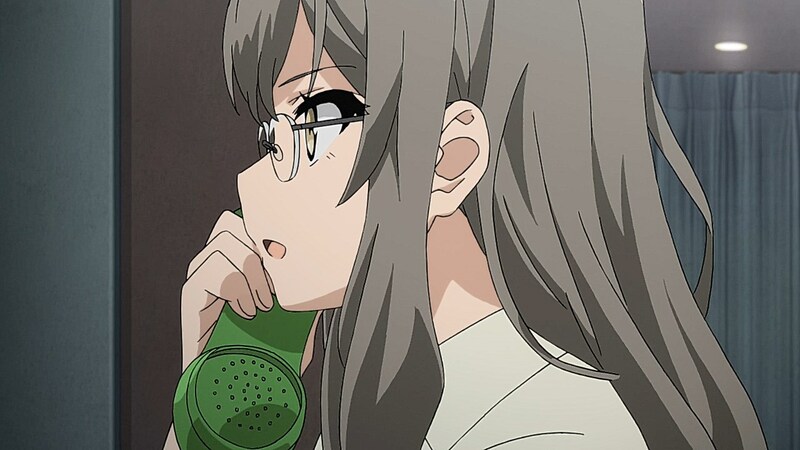 In the end he only went to talk (by the phone) with her other self because Sakuta convinced her. I did like the lack of pseudoscience because it let the characters solve it on their own without trying to work through a scientific theory to reach the conclusion. But I can see where you’re coming from where the resolution did come too easily and quickly. 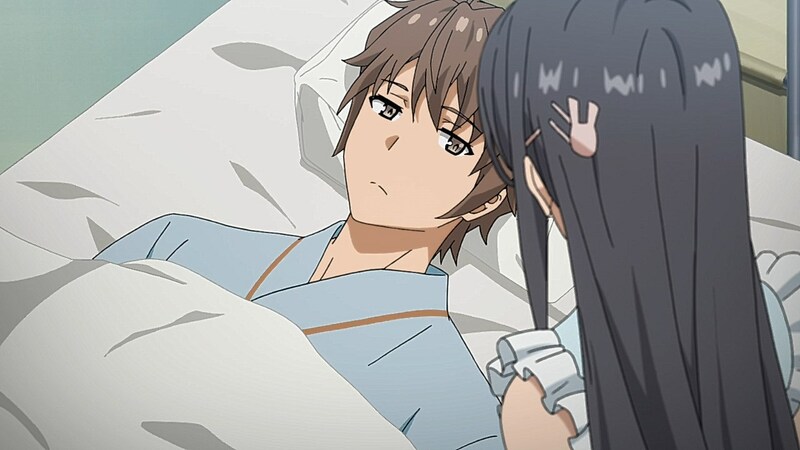 Maybe it’s in better detail with the light novel, but her resolution at the hospital after Sakuta fainted was very quick and can be chalked up to the idea that instead of trying to work through a theory, they have to have teen conversations about working through simple problems and relied too hard on Sakuta have all the answers just because. 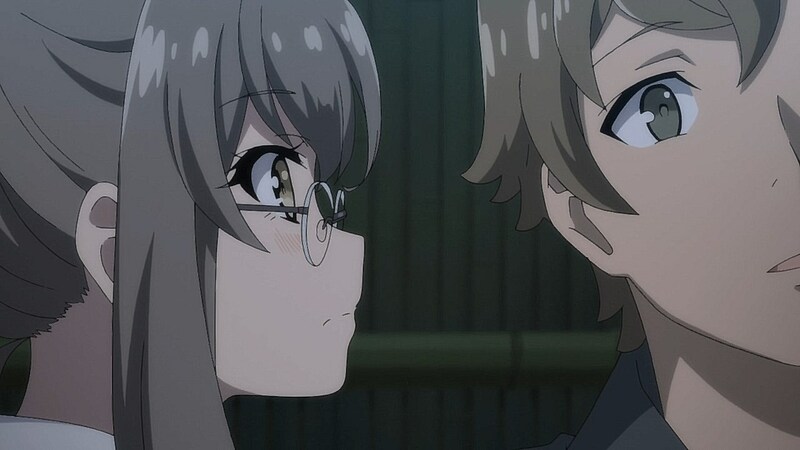 I guess it can be justified with Futaba being introverted and sometimes needing help of her own to come out of her shell, but I understand why it ended up making Sakuta’s logic seem too perfect. I honestly can’t remember any other “male friend” in any other comparable show which was such a bro. Both kind and smart, and no pushover to boot. 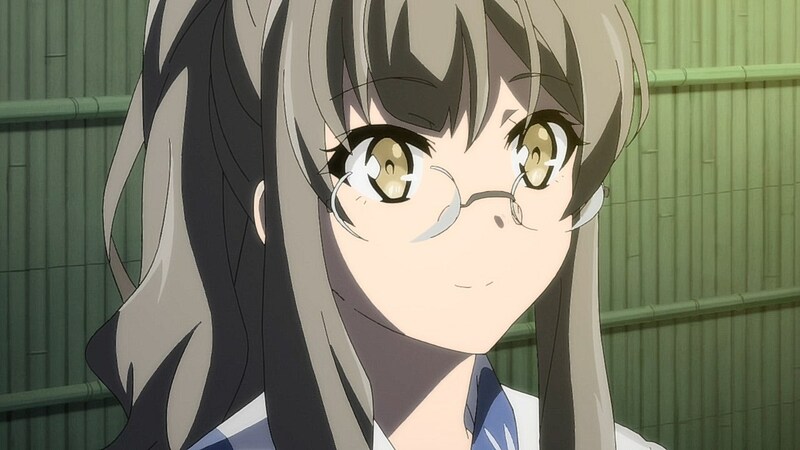 That said, want more Mai. 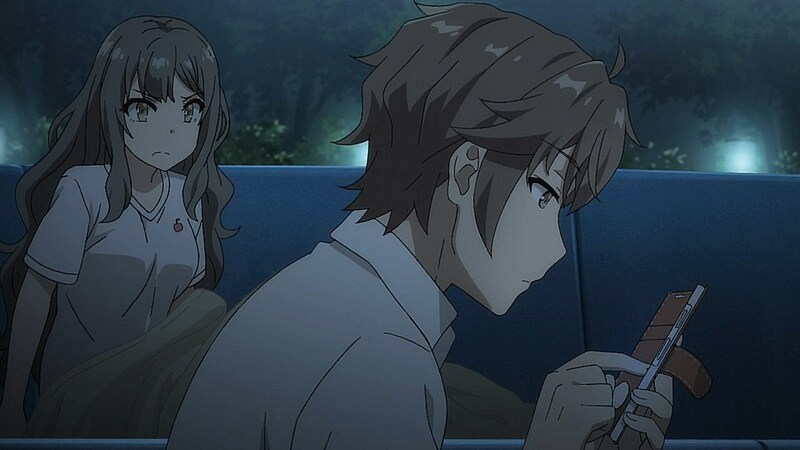 I hope that with the next arc seemingly being Mai-centric again, we’ll get treated to more couple antics. “I honestly can’t remember any other “male friend” in any other comparable show which was such a bro. There’s a strong contender there. Rio Futaba tried to unlock the harem end. Anyway, preview is giving me Freaky Friday vibes. 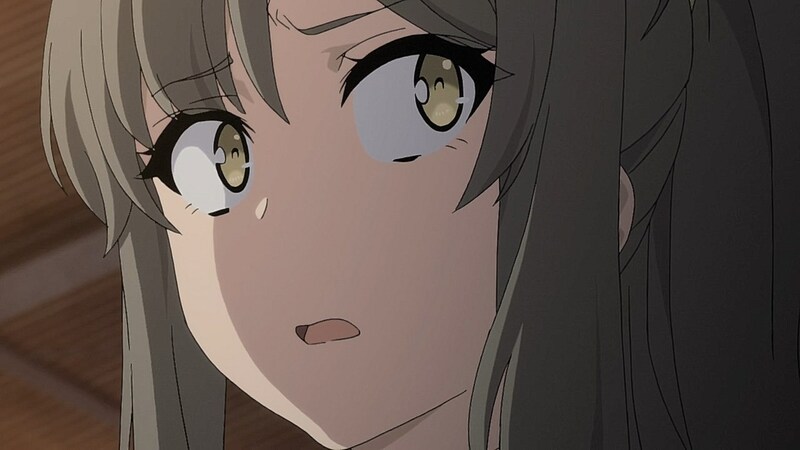 Guess Mai-chan has an imouto and swapped out with her? 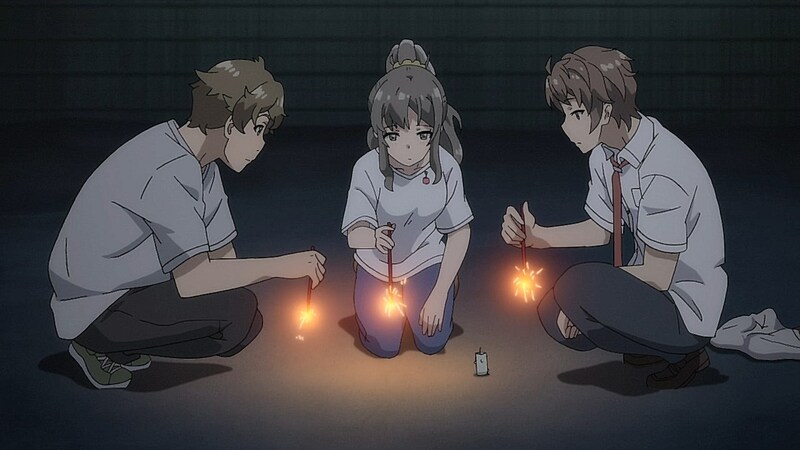 Muchos props to Sakuta, though. Dude is like a functional 8Man. He just rolled with the waves and ended up reconciling the curious case of the two Futabas. I digress. He takes action that helps resolve her problem. 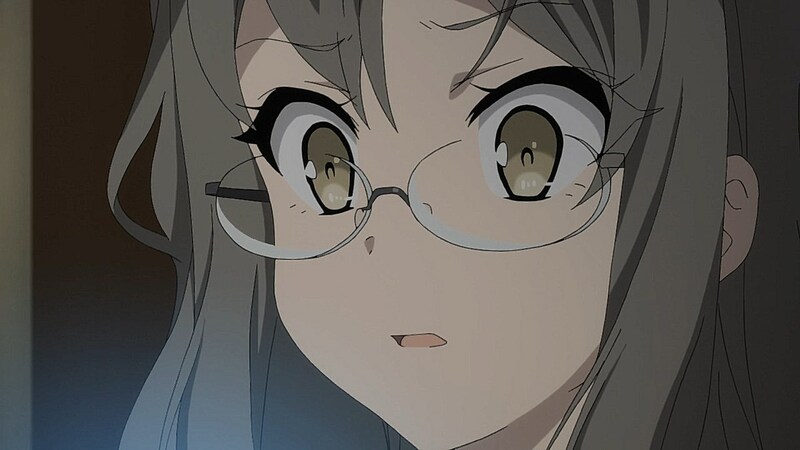 - saves outgoing Futaba from the online creep trying to blackmail her. 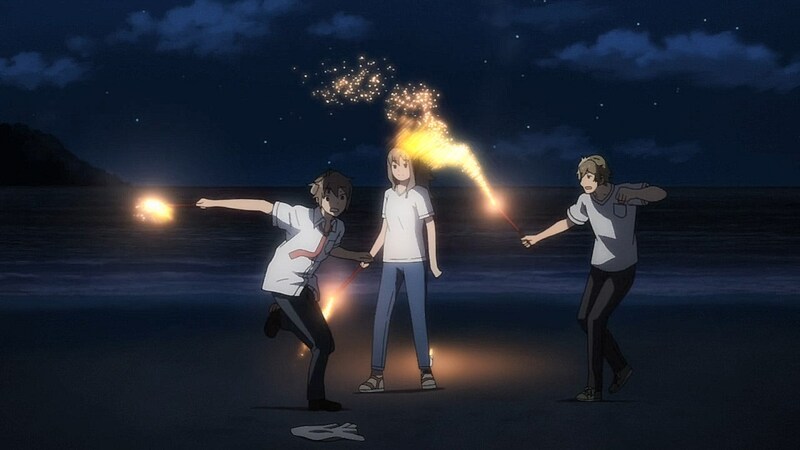 - gets Kunimi to come rushing to Futaba, and the 3 of them hang out and have fun. 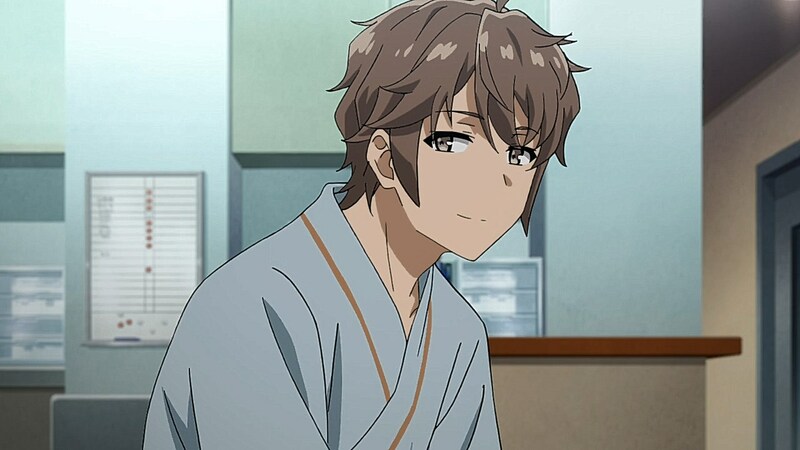 Man, Kunimi has no idea of what he’s missing… Oh well, add one more waifu-able character to the list. 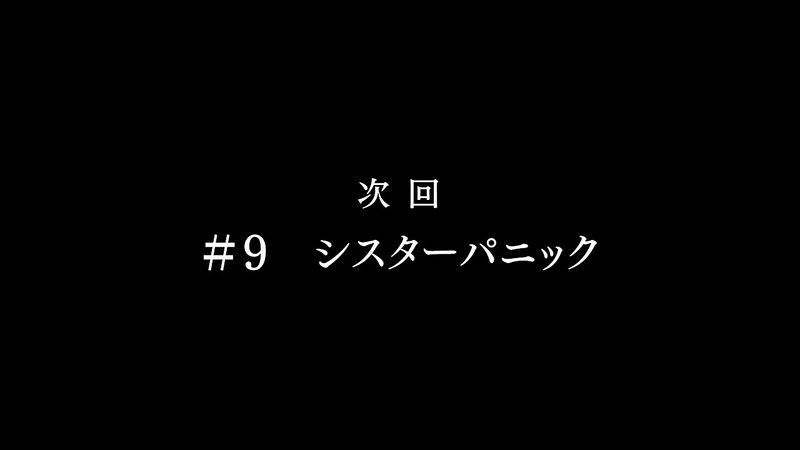 The past 2 episodes are so soothingly calm. But didn’t put me to sleep, still captivating. The 3 are such good friends. Can such thing be real?